As the year comes to a close, I know there are a lot of year-end round-ups on blogs. I only started my fledgling blog in June, so I only have to choose 6 months worth of posts. Even so, I have had trouble narrowing down what I'd like to include. Thus, I have decided to have 2 posts. Today's posts are the 10 most popular posts according to my stat counter. Tomorrow I will recount my 10 favorites that weren't in the most popular. Although I have but a newborn blog, I hope I have begun to make a name for myself and an impact on the food blogging community. I am still working to find my focus and blogging voice. And of course, photography will always be a learning process. Hopefully 2010 will bring even more deliciousness with your lives! So without further adieu, here are the 10 most popular posts on Pink Parsley. 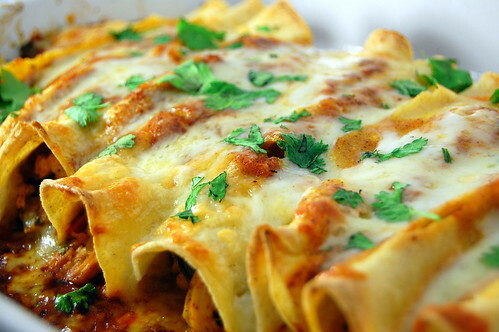 These chicken enchiladas are by FAR the most popular post on my blog, and for good reason. They are absolutely the best enchiladas I've had. Though a little time consuming, the work is well worth it. Every week when I plan the menu, I ask Joey if he has any requests. I think if I'd do it he would eat them every single week without complaint. 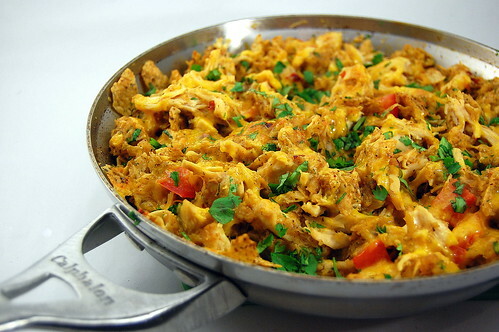 Continuing with the Mexican theme, Chicken Tortilla Casserole was also immensely popular. It is a perennial favorite in our house; something I can throw together when I don't really feel like cooking or if I need comfort food. 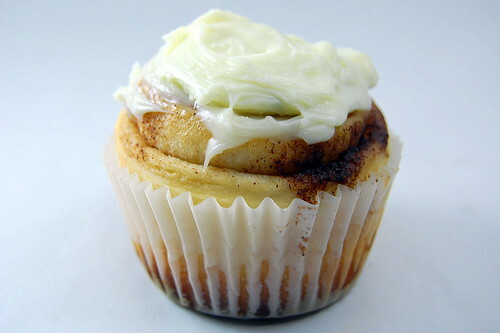 Cinnamon Roll Cupcakes were just destined to be a popular post. I mean, seriously, who wouldn't want this? Though I had a few issues with the dough, it was all my fault; even so, they were still a perfect tailgating treat. Bakerella's cupake sliders were all over the internet this summer, and I made them no less than 3 times. 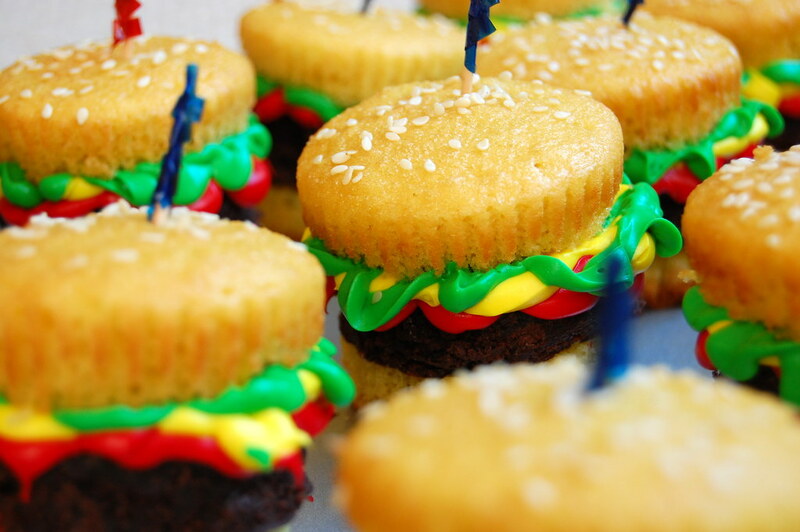 Anytime we went to a party or gathering, these were requested. 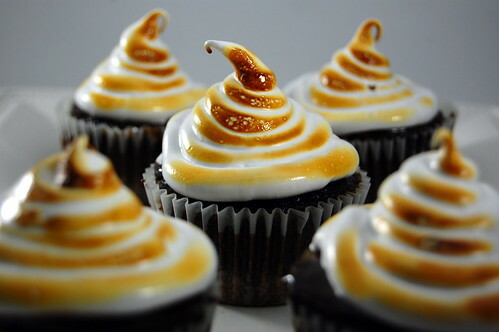 They are cute, whimsical, fun, and most of all, delicious! 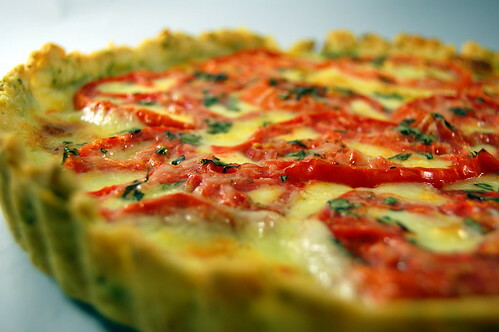 speaking of delicious, the Tomato-Mozarella Tart with a Basil-Garlic Crust is utterly drool-worthy. What a perfect summer meal to showcase tomatoes and basil. Add garlic and mozzarella to anything, and I'm a happy girl. Joey described this as "like pizza, only better." I have to say I agree. 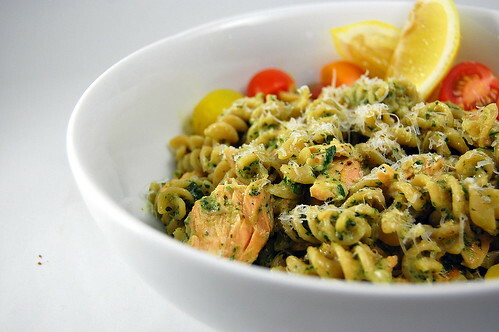 Still continuing with some summer-time treats, salmon pesto pasta just screams summer to me. Though you could certainly make it in the winter as well, basil is so fresh and abundant in the summer, and while it is substantial and filling, it just feels light and refreshing. 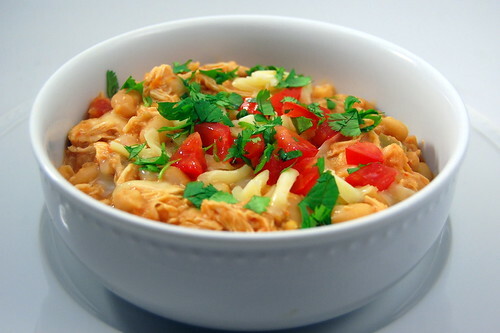 Quite easily the most simple recipe in this blog, Crockpot White Bean Chicken Chili is also one of the most flavorful. I probably make this at least once a month, and it is always a hit. I can't say enough good things about it. Just make it. 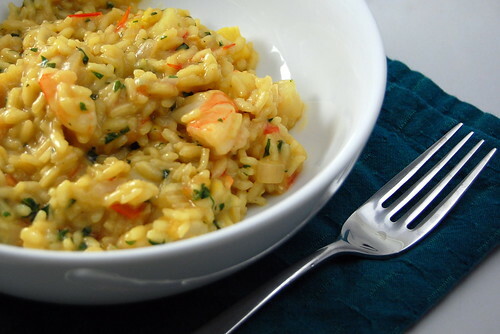 If I had to choose (but please don't make me), seafood risotto would have to be my favorite risotto recipe. I just love seafood in general, and I love risotto in general, so it should come as no surprise that when the two collided, my world was forever altered. In all seriousness, this is one of my all-time favorite meals. Pair it with a glass of wine and some crusty bread, and you have my idea of perfection. 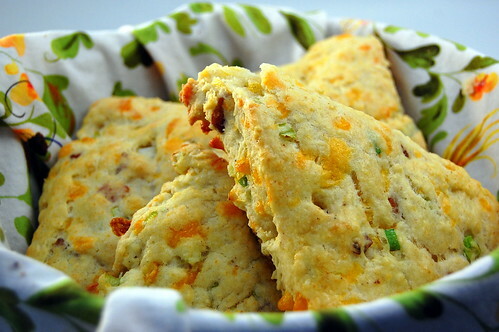 And rounding out the top 10, The Pastry Queen's Bacon and Cheddar Scones are definitely worthy of their spot. Hearty and filling, yet still light and fluffy, they are my idea of a great breakfast. They left such an impression of me; I still remember sitting on the deck, sipping coffee and munching on these with Joey on a warm summer morning. I hope you've enjoyed reliving some of the popular posts of the year; check back tomorrow, I'll be posting my personal Top 10! Those enchiladas are soooo gooooood! My husband loves them too. Thank you, thank you!! Hello..I really enjoy these recipes..These have awesome taste..thanks a lot for sharing your blog..keep it up..